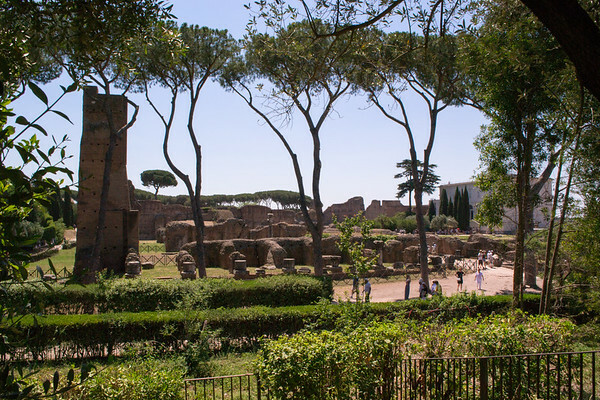 The Palatine is the most famous of Rome’s seven hills. In Ancient Rome it was considered one of the most desirable neighborhood in the city, and was the home of aristocrats and emperors. It was also believed to be the location of the Lupercal (the cave where Romulus and Remus were found by the she-wolf).